Scaffolding materials and designs have changed over the centuries of human construction. However, the purpose remains the same with all scaffolding, to provide a temporary structure and platform that provides safe access to carry out construction, repairs, and maintenance work. 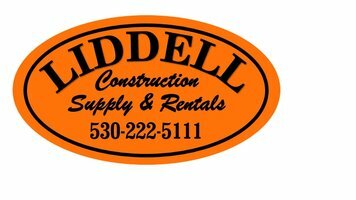 Liddell Construction Supply & Rentals provides durable and versatile solutions for building site scaffolding and working platforms for both commercial and residential use. While each has their place in construction, scaffolding offers a more SOLID platform from which to work that will put you directly in front of your work area. Instead of dangerously reaching for things out of arm's length, you can sit or stand on a sturdy platform directly in front of your work. The stability and size of scaffolding offer support to both workers and their materials in elevated constructions. Ladders do not offer a solid platform and they often present extra safety hazards when your work is out of reach or the ladder is not the right size and has an awkward angle to work from. Ladders may not be practical for a job that requires prolonged and constant climbing up and down, adjusting, and moving around of the ladders. Contact us for a FREE estimate on scaffolding for your project!